"Adopting" two young ladies and purchasing items from their "wish lists" to give them a joyful Christmas. 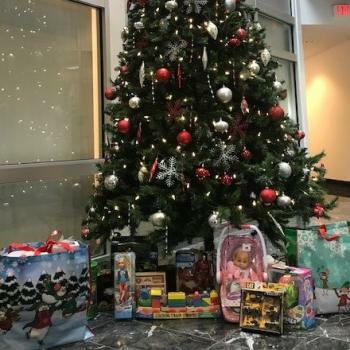 When we reached out to schedule our donation pick-up, Meg Carroll who is the Community Manager for the Georgetown South Community Council said that the contributions from WDP's staff had "been such a tremendous help to us this year and we appreciate the generosity of all of your staff. I really can’t tell you how much total strangers have impacted the lives of these kids this year. Makes a person feel good."